J & N Feed & Seed provides bulk fertilizer and spreaders. Purchase bulk fertilizer from us and the spreaders are available for your use. 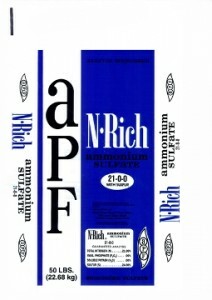 We offer wide variety of sack fertilizers including APF and custom mix blends. Talk to us about your fertilizer needs and how we can help.